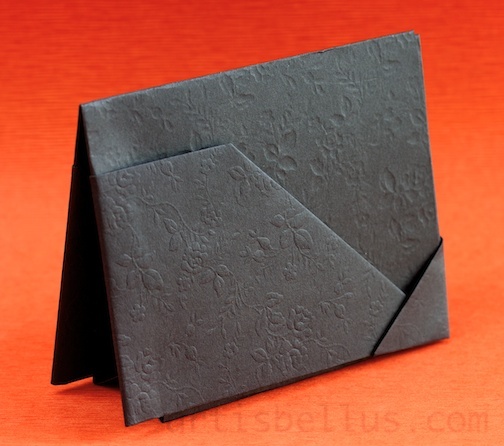 An origami Card Holder is a very nice, yet inexpensive gift for Father's Day. It can have an elegant or casual look depending on the paper choice. The model was designed by Humiaki Huzita. 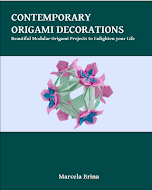 The instructions can be found in several books, like The Practical Illustrated Encyclopedia of Origami , by Rick Beech and Origami, Easy-to-Make Paper Creations by Gay Merrill Gross. 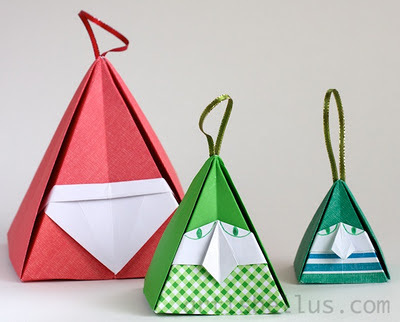 There are also several instructions and videos available online. Black Card Holder: I cut a sheet of 9"x 12" from a 12" x 12"of textured Canson Expressions paper, that is the same color on both sides. 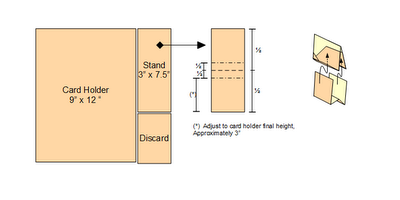 I used the remaining strip of paper to add a stand, so the model can also be displayed on a desk. 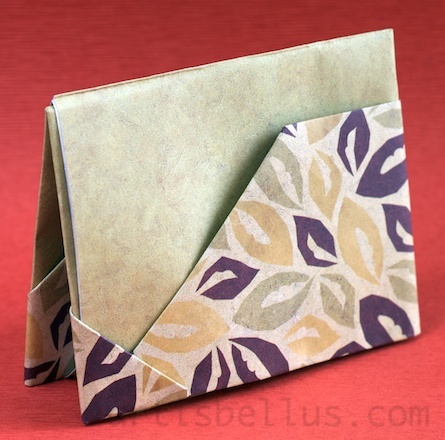 Leaves Card Holder: I cut one sheet of 9"x 12" from a 12" x 12" scrapbook paper with a leaf motif, and another one of 8" x 12" from a gold scrapbook paper. I glued them back to back, leaving a rim on opposite sides in one direction, and I used that rim to create the hem at the beginning of the folding sequence. Felt Card Holder: I used a 9" x 12" sheet of alligator embossed felt and a sheet of 9.5" x 12.5" gold wrapping paper. I glued them together back to back, leaving a 1/4" rim all around, that I used to make a hem to prevent the felt from fraying. 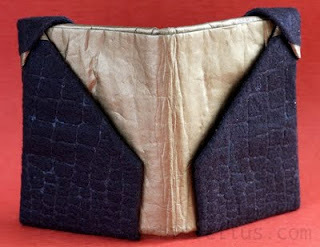 The result was great, but the material was very difficult to handle, as the felt was very thick and difficult to fold. In order to prevent unfolding, I had to glue the parts of the model that were not pockets . Those look pretty classy, thanks for sharing. Could you tell me what the final size of the model was? 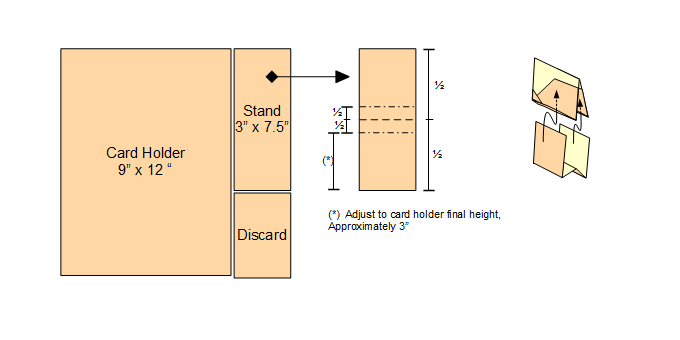 I mean, from the 9"x12" sheet, what is the size os the card holder? Marcelo, the final size of the model is approximately 3" x 4". It can hold business cards, credit cards, or gift cards.